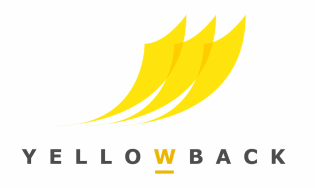 Yellowback provides publishing, editing and peer review management services for authors and researchers, learned societies, publishers and other organisations with something to communicate. Combining academic knowledge with professional know-how, we help disseminate projects through the written word, whether onscreen or in print. We pride ourselves on our personal and efficient project management, which ranges from managing whole journals to English-language editing for individual articles; from cover photography to publishing books. We are also proud to have launched Yellowback Press, which is publishing its first book in November 2015. Yellowback is inspired by the inexpensive yellow-covered paperbacks that were a revolution in making books accessible to mass audiences in the nineteenth century. In the twenty-first century, it is easier than ever to put things out into the world but there is increasing competition for the attention of the right audience. Yellowback combines expertise in detailed editing, image selection and presentation with its networks in the academic, publishing and cultural sectors to help authors communicate with the right people, in the right way. Find out more about our latest publications and editing services in these pages, or contact us to ask.